the Ralston Arena is glad to announce, Chris Isaak to the summer lineup. Performing Live! Sunday, July 30, Chris Isaak brings his eclectic, rockabilly, country vibes to the Omaha Metro. And for First Comes The Night -- Isaak's stunning first album of new material in six years -- this gifted singer-songwriter and bandleader is bringing us a bumper crop of strong and intriguing songs from which to choose. "There was no mission for this album other than to follow the songs," Chris Isaak explains, and in terms of songwriting, the floodgates really opened this time. "My last release was Beyond The Sun -- my tribute to Sun Records with a lot of covers -- so this time around I had a lot of new material that I was thrilled to record. My manager always tells me, `We need more songs.' This time, even she realized she's creating a songwriting monster, and had to beg me to stop." First Comes The Night fittingly represents a number of firsts for Chris Isaak, who recently signed on to become a judge for the first time on The X Factor Australia. Of his new television gig Down Under, Isaak explains, "I love Australia, and if you're going to look for stars, I can't think of a more beautiful place on Earth to start looking." As for First Comes The Night, this is the first time that Isaak has written and recorded so much in Nashville, Tennessee, a change in location he explored partly upon the suggestion of his friend Stevie Nicks. "Somehow even I had some misconceptions about Nashville," confesses Isaak. "You'd think a music guy who's been in the business as long as I have would know better. I'm a huge fan of country music since I grew up listening to Hank Williams, Ernest Tubb and Buck Owens, and I know my country history well, but even I somehow forgot Nashville is --- and always been -- about more than just country." 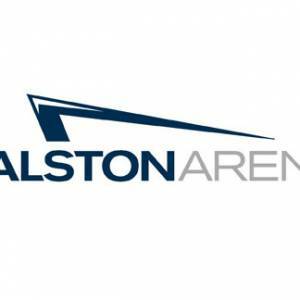 For more information on on tickets and more, visit RalstonArena.com and ChrisIsaak.com.